It’s official. We’re fully into 2016. The holidays are a fond memory and it’s time to make good on our best intentions. If getting organized was high on your priority list, you’re not alone. We all know that the kitchen is the hub of any home – and often where a lot of clutter tends to gather. We’ve compiled some of our favourite tricks of the trade to optimize efficiency and make things run even more smoothly. Whether you’re planning a remodel or are able to incorporate a few changes, we think you’ll like what you see. From strategically placed electrical outlets to perfect placement and easily accessed spices, knives and other condiments, these kitchen innovations are on point. Have you ever noticed how much more palatable doing the dishes can be if the sink is located at a window? Especially if we have a little tip out drawer to stash wet sponges. Don’t we all have moments where we wished we could keep things warm but don’t have room for a full double oven? 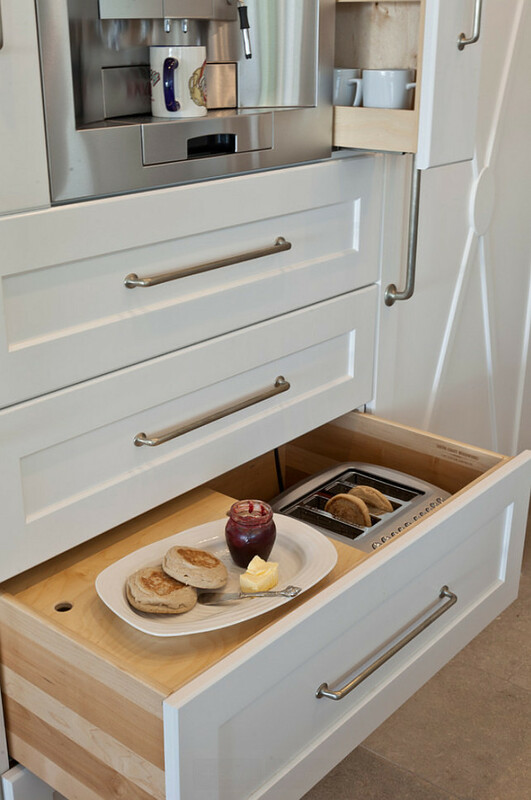 The warming drawer is your new best friend. We love nothing more than a good idea – except sharing them!